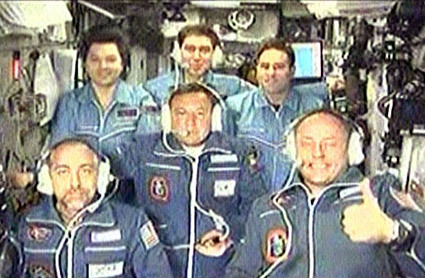 Millionaut Richard Garriott aboard the International Space Station with five other lesser known professional space travelers. “Technology entrepreneurs are the ones with the technical curiosity, the desire to do new things and explore new territory,” says Dyson. “And this is the ultimate new territory. There was a belief once, too, that America was something new and unnecessary.” Dyson believes we will eventually be colonizing other planets. Like Garriott, she also has space in her blood. In the late ’50s, her father, physicist Freeman Dyson, worked on using nuclear pulse propulsion to vault rockets into space. Esther was 7 at the time, and she recalls thinking that, naturally, one day, she would get to travel in one.